Our friends Daniel & Adelle are moving into a new place, and have asked us to help them build a table and benches for their dining space. We jumped at the opportunity. 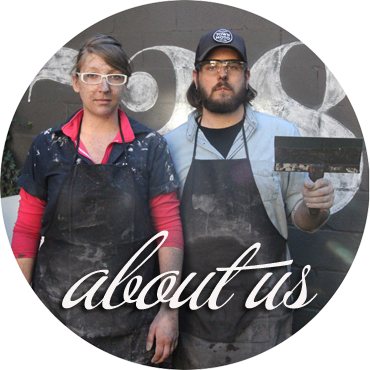 We love building things, we get to try some new techniques, and we get to help out friends. Win win situation. They have been scouring the web for inspiration for the past few weeks, and decided on a modern farmhouse table and two benches. Their space is large, but narrow. We took a basic farmhouse table, stretched it out to be 8 feet in length, and shrunk the width. We also designed skinny long benches that will tuck under the table on either side. The table has similar dimensions to an 8 foot long banquet table, and will be able to comfortably seat 8-10 people. Want to see the plans? 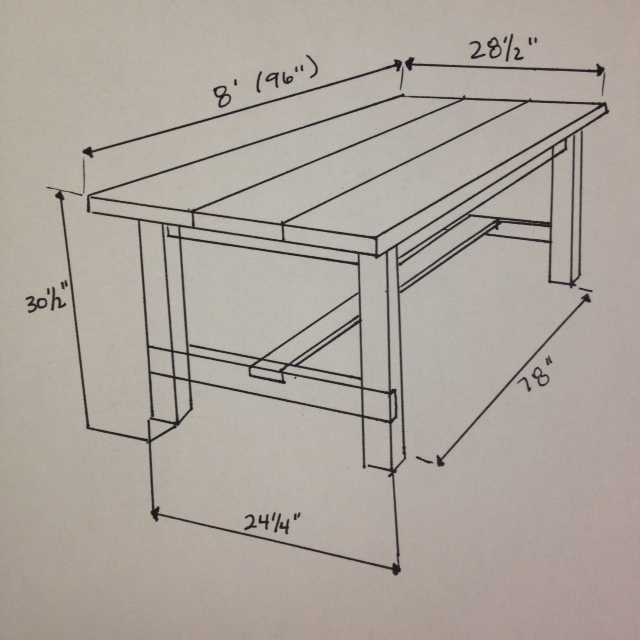 My hand drawings just are not as pretty as CAD blueprints, but you’ve gotta work with whatcha got, right?! The top is made from kiln dried pine 2×10’s, and the frame is made from spruce 4×4’s and 2×4’s. They decided to omit the “breadboard” ends seen on many farmhouse tables, and instead using three wider planks the length of the table. The benches are similar to the table, except their tops are pine 2×12’s and the legs are 2×4’s. The table and bench tops will be stained dark and polyurethaned, and the bases will be painted white. We will be using the Kreg jig for quick and easy assembly. The plan is for the four of us to work together and knock out as much as possible this Saturday. I foresee having someone measuring everything, another person cutting, one operating the drill, and one sanding. Hopefully we can knock out this big (but fairly simple) project in a day! I will check back in next week with our progress, and a full tutorial & cut list when we’re finished. Wish us luck! Do you have any big projects planned for this weekend?